Heralded as the new vegetable du jour, seaweed has moved firmly into the food trend spotlight. Having played an important part in Asian cooking (most notably Japan, Korea and China) for thousands of years, it’s finally also finding its way from the UK and Irish coastlines into our kitchens. If you are keen to dive into the refreshing world of seaweed cooking, there are many excellent recipes to choose from. I’ve found Seaweed in the Kitchen (by Fiona Bird who lives in the Hebrides in Scotland) an inspiring read. When it comes to baking, using seaweed in loaves of bread is a great way of incorporating this nutritious vegetable into your daily diet and – contrary to what you may think – the resulting flavours are not overpowering in any way. 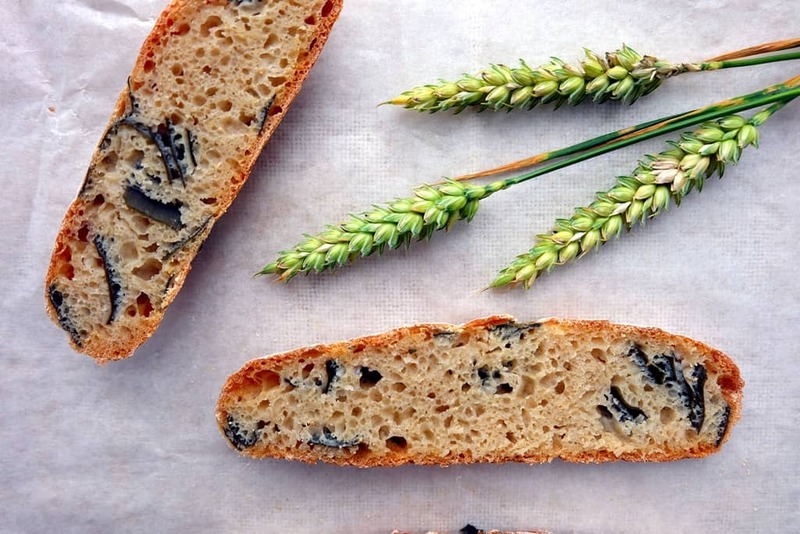 The unmistakable taste of seaweed complements the tangy sourdough flavours extremely well. Which seaweed can be used? There are about 10,000 species of seaweed, the majority of them red, some brown, some green. The most popular seaweed species is nori, widely available in dried sheets and used to make sushi. 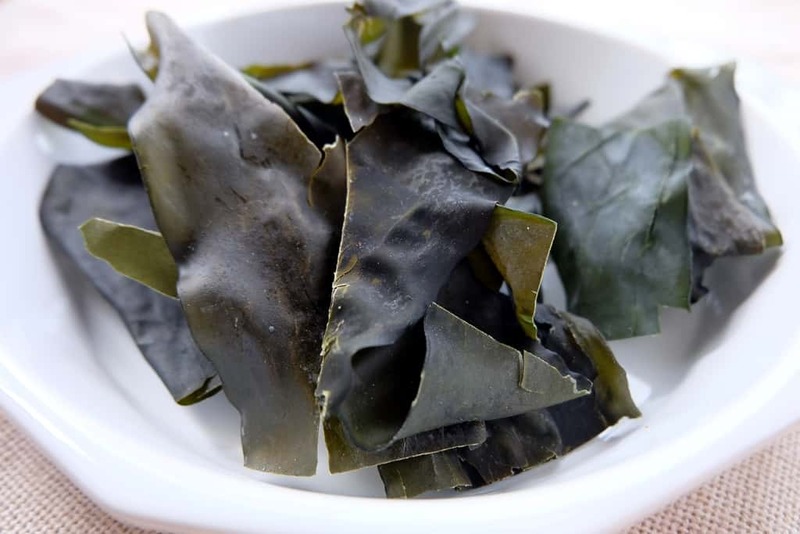 Other common varieties include dulse, arame, wakame, kelp/kombu and spirulina. In the UK, there are about 650 identified species, all of them edible, with only one species (Desmarestia spp) to be avoided. In the two seaweed bread recipes below, I use dulse, a red type of seaweed which grows on the Atlantic Coast and kelp/kombu. Both seaweed varieties have a salty flavour and are commonly used for soups, stock and stir-frys. Where to buy seaweed in the UK? I have not yet foraged for fresh seaweed myself and have been recommended to initially head out with an experienced forager – anyone out there willing to take me? :). But, fresh seaweed doesn’t keep well, so it is easiest to buy it ready-processed and dried. Many varieties of seaweed are available online or in shops and here are some suppliers I’ve bought from: Mara Seaweed (based in Edinburgh, UK) and The Cornish Seaweed Company (Cornwall, UK). Asian supermarkets are also a good place to look when on the hunt for dried seaweed. All types of seaweed contain a rich supply of minerals (calcium, copper, iodine and iron) and are rich in protein, fibre and vitamins. At the same time, seaweed is low in calories and fat. Studies such as this have also suggested that seaweeds may be used to help lower blood pressure and promote heart health. 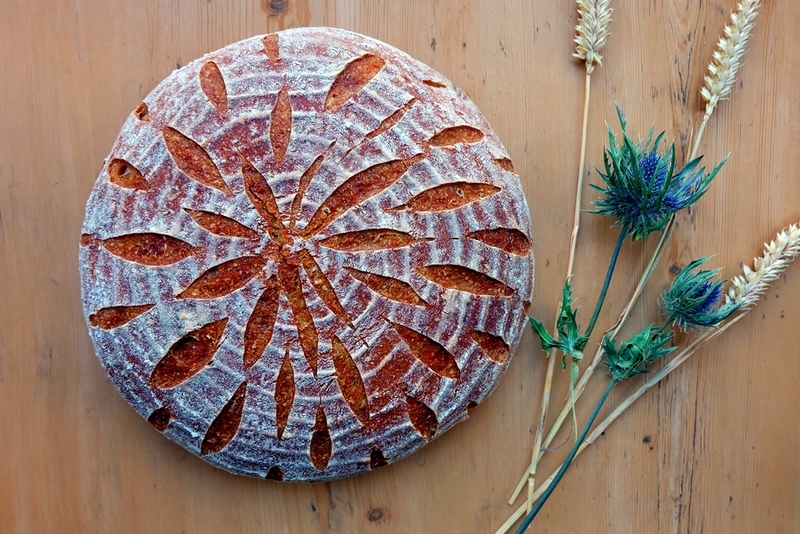 Seaweed breads and savoury bakes are a great way to snack on healthy seaweed. 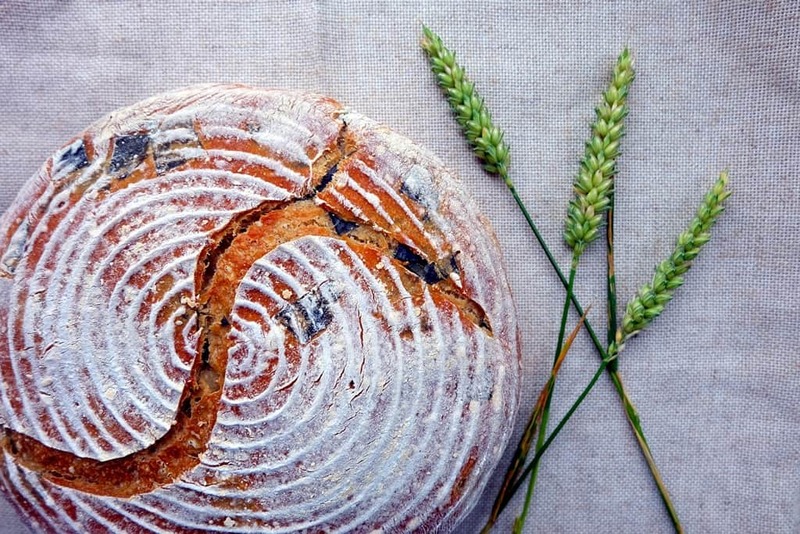 Here is my recipe for a sourdough bread made with the seaweed dulse. Combine the ingredients in a bowl and mix well. Cover and keep at room temperature for 16 – 24 hours. Combine the flour and water, mix well, cover and rest for 1 hour at room temperature. 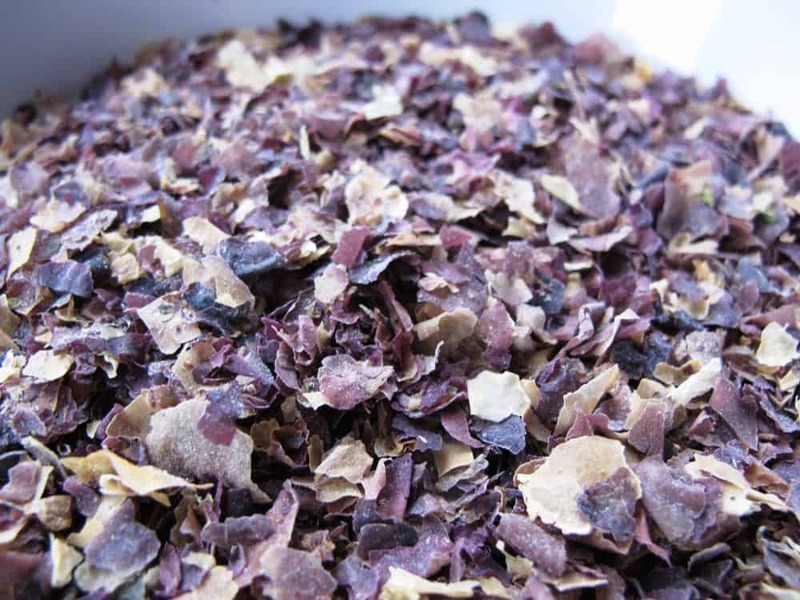 Combine dulse and water in a small bowl about 1 hour before preparing the final dough. 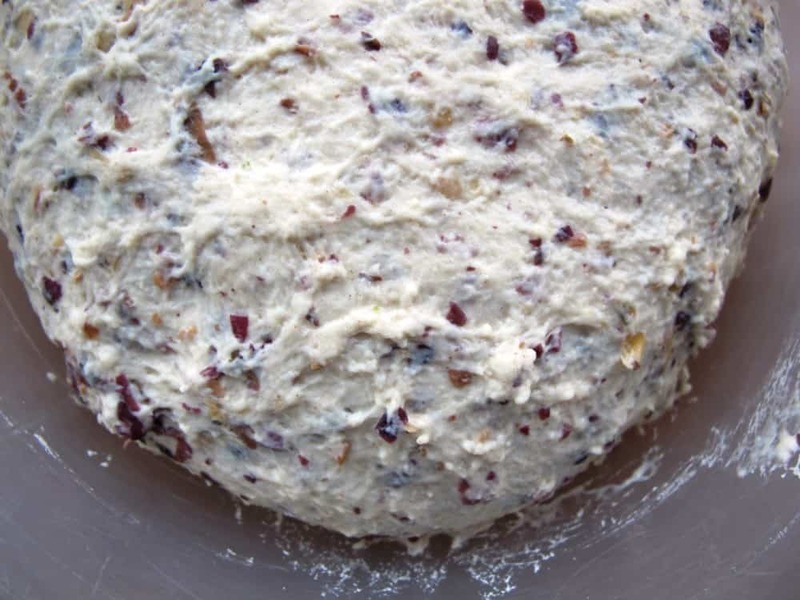 Combine all ingredients except the dulse soaker and knead for about 10 minutes to form the dough. Fold in the dulse soaker until evenly incorporated. Place the dough into a bowl and rest for about 2 hours until visibly risen (please note the rise time depends on the temperature in the room). Shape the dough into a round loaf, cover all over with flour and place into a lightly floured proving basket (seam-side up). Cover with a polythene bag and keep at room temperature for several hours. If you make the final dough in the evening, you may place the covered proving basket into the fridge for overnight proving. Just take it out an hour before baking. When then dough is ready to be baked, preheat the oven to 250°C. If you have a La Cloche baking dome, preheat this in the oven from cold at the same time. 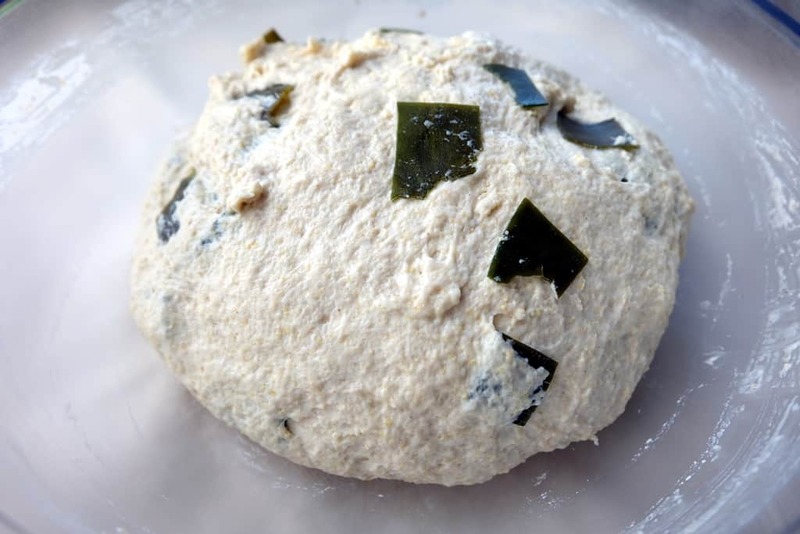 Turn the seaweed dough out onto a baking tray lined with baking paper or the hot La Cloche plate. Slash the dough with a sharp scoring knife. Bake at 250°C for 10 minutes and at 230°C for a further 35 minutes. Here is my recipe for a sourdough bread made with kombu/kelp. Combine the white wheat flour, polenta, maizemeal and water, mix well, cover and rest for 1 hour at room temperature. Combine kombu and water in a bowl about 1 hour before preparing the final dough. Some kombu layers may be stuck together, so after about 15 minutes, go through the kombu and detach any layers. Drain any liquid, then cut the kombu/kelp into squares. Combine all ingredients except the soaked kombu squares and knead for about 10 minutes. Fold in the kombu squares until evenly incorporated. Place the dough into the bowl, cover and rest for 2-3 hours until visibly risen ( rise time depends on the temperature in the room). Shape the dough into a round loaf, cover with flour to prevent sticking and place it into a lightly floured proving basket (seam-side up). Cover with a polythene bag and keep at room temperature for several hours or place in the fridge for overnight proving as described above. Once fully proved and the oven has been preheated, turn out the dough onto a baking tray lined with baking paper and bake at 250°C for 10 minutes and at 230°C for a further 35 minutes.